Saddled with both a new pupil and a bar to run, Dorian has to pick his battles carefully if he is to find his soul. When the Dark Choir bargains with Dorian in exchange for his loyalty, the power they offer may be too valuable to refuse . . . for a new menace threatens the hermetic order in America. Members of the Presidium are being outed in the press, and the formidable cabal's response is swift and brutal. But Dorian has no time to hide from the Presidium's fury, as the new Deputy Mayor taps him to investigate a string of occult crimes. Dorian soon uncovers an ancient enemy of the Presidium, which threatens to plunge America into a lawless era not seen since the Dark Ages. To sway Dorian to their cause, the Presidium gives him free rein to practice Netherwork. But even if the man without a soul can survive this conflict, if he can protect his friends and allies, if he can mean the difference between order and chaos. 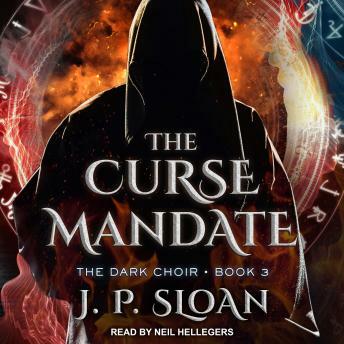 Will this mandate save Dorian Lake from the schemes of the Dark Choir?